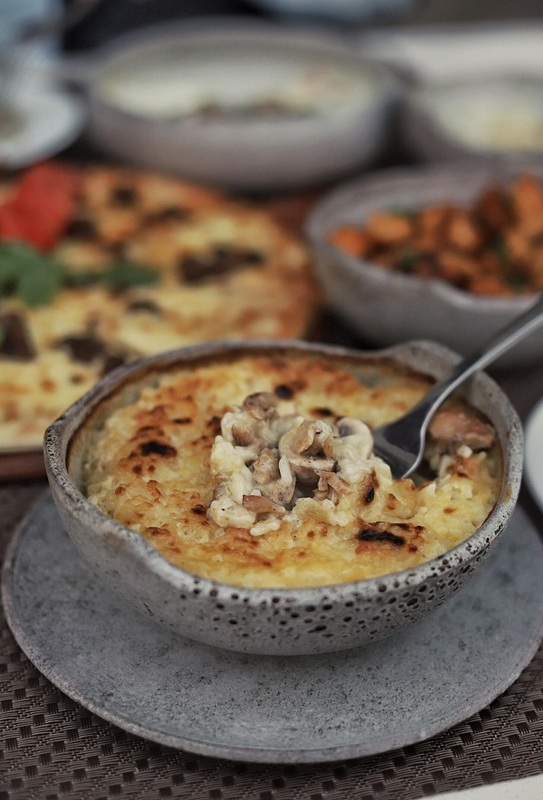 Having established a good reputation as a Lebanese restaurant and a shisha hangout spot in Zamalek, Taboon, turns to Sheikh Zayed for a new venture, opening its newest branch at Westown Hub. Sharing a venue with its sister pizzeria, Il Divino, Taboon has an indoor area with four tables next to a work station that includes a wood-fire oven, while the outdoor consists of randomly placed tables and chairs overlooking the fountain area, which is a perfect spot for your kids to enjoy under your supervision. We really love the new pine-green and white colour scheme that runs through the interior, the furniture, and the menu, not to mention the beautiful new serving dishes. We started our Lebanese fiesta with Batata Harra (40LE) and Man’ooshaSogo’ & Jubn (80LE). 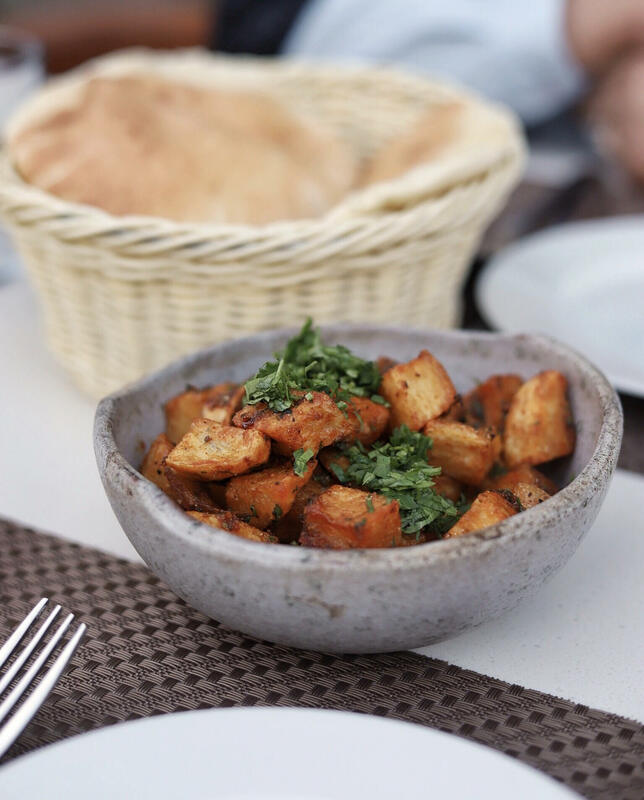 Fried potato cubes tossed in a spicy mix of olive oil, garlic, pepper, and coriander, the batata harra was beautifully presented and had the bold flavours we were looking for. Sadly, the main ingredient of the dish, the potato cubes, were very oily. As for the man’oosha, it was very soft and light, the sausage had a good texture and the amount of cheese on top was quite generous. The portion of the sausage however was a bit small and unevenly distributed on the slices, some slices only had two bits of sausage. Moving to the mains, we opted for El Basha Wi Asakro (120LE) and Chicken Shawarma M3amar Rice (110LE). Served with fluffy white rice, El Basha Wi Asakro was an interesting dish that consisted of a veal shank surrounded by fried kobeba and shish barak, all served in a bowl full of yogurt sauce, with a sprinkle of pomegranate to lighten things up and add freshness to the dish. 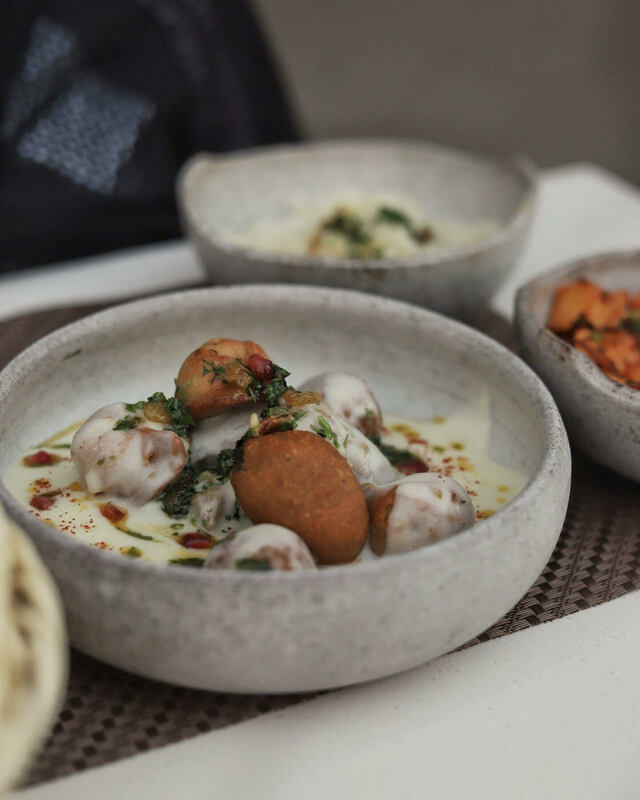 From the juicy and tender veal shank, the perfectly executed Shish Barak and the fried kobeba with its fantastic crunchy crust and flavourful filling, to the tangy yogurt sauce, we simply loved everything about this dish. It’s perfect for those who like dishes that host a diversity of textures and flavours. Meanwhile, the Shawarma M3amar rice left us with mixed feelings; while we absolutely loved the flawless texture of the rice and its overall creamy and satisfying flavours, the chicken shawarma didn’t live up to its name, as it was just a pile of bland chicken with mushroom. As a whole, the dish was still good, but it just didn’t meet our expectations. We crowned our experience with Kunafa Othmanlya with ice cream (60LE). We liked the idea of replacing the cream with ice cream, but in this case, the quality of the ice cream used was poor, with an icy stiff texture. 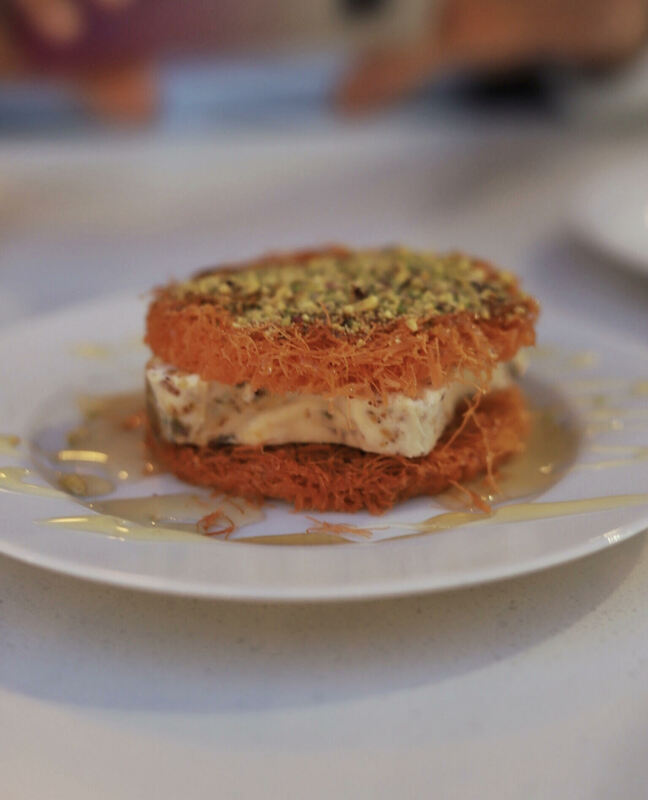 However, the crispy Kunafa saved the day with its on-point sweetness and the satisfying heap of pistachio served on top of it. All in all, we had a pleasant experience at Taboon’s new branch. We like the new identity of the place, manifested in the interior, the food presentation and the service. Indeed, the food had its ups and down, but the new branch still managed to impress us. You can order from IL Divino, whilst sitting at Taboon. El Basha Wi Asakro was perfect. Tiny mistakes ruined some potentially great dishes.